Why I'm Loving White Walls — Stevie Storck Design Co.
Just three years ago, I was a college student living in my first boring, off-white apartment just wishing I could paint it some bold and beautiful color. I even worked at Sherwin Williams back then, so on slow days, I would head to the paint chip wall and dream about what colors I would pick if I would have been able to paint. Fast forward to now and we just painted our bedroom, what color? Like anyone, my tastes have changed over the years. I still love bold colors (I painted my bathroom a rich navy blue, see it here!) but there's something about white walls that have me transfixed. 1. White paint showcases interesting architecture. We aren't all blessed to live in historic homes with great details like wainscoting, crown moulding, shiplap or beadboard, but for those that do, white is the perfect color for showing off these features. The planes and contours of architectural elements, like those in the photo above, create interesting shadows and highlights. You really get to see the details in the craftsmanship, whereas if this foyer was painted a darker color, many of these finer details would be lost. 2. I read somewhere that to paint your walls white, you have to really like your stuff. It's true! 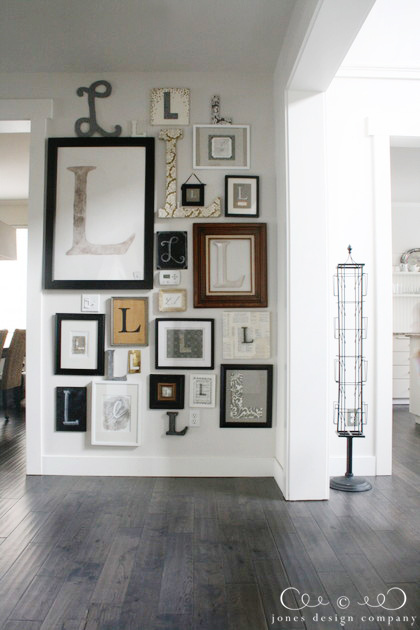 White walls act as a blank canvas to showcase whatever you put in front of them. It's hard to hide a threadbare hand-me-down sofa against a crisp white wall. Paint your walls white and you will quickly see what is and isn't working about your space. While some people see this as a con of white walls, I see it as an awesome pro. Shouldn't we LOVE every piece we have in our space anyway? As a 23 year old newlywed who's furnished her apartment with mostly Craiglist, hand-me-down and IKEA finds, I know it isn't realistic for this to happen all at once. But this idea goes along with my new goal of being a minimalist. I've been slowly going through and getting rid of furnishings and accessories that we no longer love. Moving forward, I'm being much more intentional about what I bring into our home. I'm thinking of instituting a new rule, that for every one thing that comes in, two things have to go out. 3. White rooms can be colorful too! The photos above show gorgeous neutral rooms, but one of my favorite things about white walls is how well they balance bold color and pattern! The white walls act as a visual "palate cleanser" and makes any color you put against it look even more fresh and saturated. While the room below would still look pretty with a light gray or blue wall, it just wouldn't have the same crispness and modern edge. Another thing I've been crushing hard on is colorful tribal rugs. (Come visit me at the INTER!ORS Rug Bazaar and I'll show you some of my favorites!) They can really be a focal point for a room arrangement. I love the way white walls, curtains and sofa make this room all about the amazing rug and art. 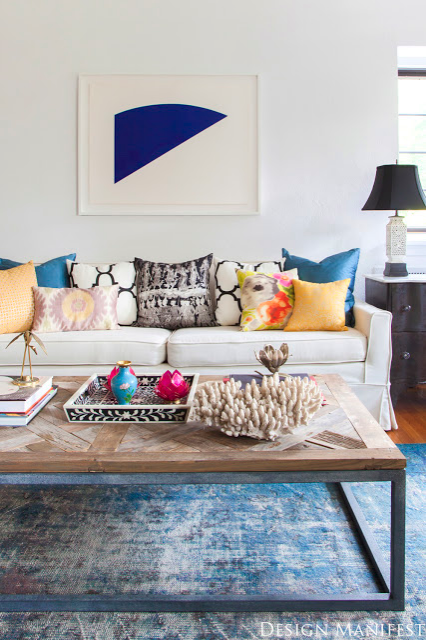 It's a very neutral space, but it still feels bold and colorful! What do you think about white walls? Awesome sauce or totally boring? Sound off in the comments below!